Summer plans can vary greatly from what your college student has planned, and what you expect as their parent. 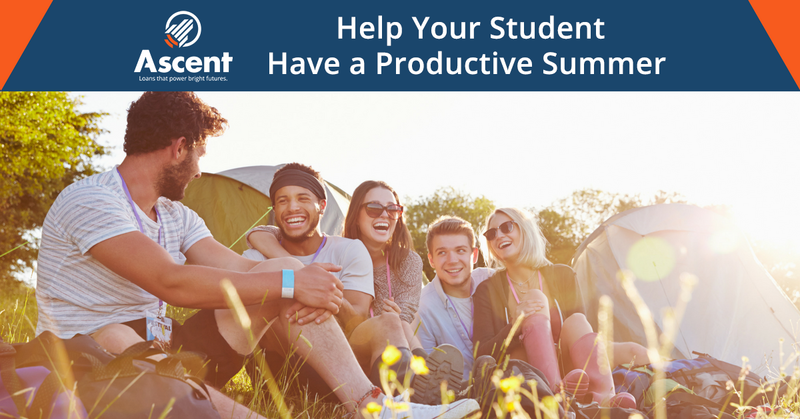 To students, summer plans likely include beach days and fun, while you encourage them to continue their studies or gain valuable work-experience. These two objectives seem far apart, but you can them to find a balance. Instead of reminding your son or daughter of their responsibilities all summer long, try recommending one of the following options to better prepare them for their future career. They might even have some fun while doing so. Summer internships are the perfect way to test drive a job in an industry that your son or daughter is excited about; and they’re offered in about every field imaginable from finance to social work. They can even lay the groundwork for a job after college with the same employer. Some internships are paid and some are not. Remember the experience may be worth the effort regardless of getting a paycheck. ITIP: Informational interviews with established professionals in your son or daughter’s area of interest or target company can be a great way for them to establish name recognition, interest and build relationships that can be called upon in the future. Click here for more tips on summer internships. Working over the summer is a great way to add experience to a student’s resume and to their savings or spending money – no matter the job. Summer school isn’t a bad thing anymore! It can be a perfect way to save money. Summer classes at your student’s school may be less expensive than fall or spring classes. Online classes or courses at a community college might be a more cost effective alternative for your student to earn college credits as well. While your student is not making money attending summer school, the overall cost savings of their college education is just as important. Remember that your student should always verify first that credits taken at another school will be accepted by their college. Some students participate in short-term study abroad programs. The length of these trips usually range between one to six weeks, but some can be for the entire summer. This is a great option for students who want to travel, but don’t want to be away from home that long or can’t afford a longer study abroad experience. Though students won’t make any money by volunteering, they can gain valuable experience by volunteering their time to causes close to their hearts or aligned with their career goals. Volunteering can make a student more well-rounded and help them stand out against other applicants when they are looking for a job after graduation. TIP: Look for large-scale events, which often require a large volunteer force to execute; these can often offer lots of networking opportunities. No matter what your college student does this summer, remember that it shouldn’t be all work and no play. Having a productive summer is important, but giving the mind a break by striking a balance between fun and work is important too!